BWA is an alliance of organisations and individuals, and we welcome new members. Membership is open to any individual who, or organisation which, supports the aims of the Alliance. Meetings are held roughly every two months, usually with a single theme related to BWA’s aims, sometimes with a guest speaker. Meetings are open to all members. Notice of meetings is sent to everyone on BWA’s mailing list. At the meeting in May/June each year, the meeting includes an AGM, with elections to a Committee which oversees the running of BWA, in line with BWA’s constitution. We have subgroups on specific themes/campaigns. All members and supporters receive a BWA ebulletin of BWA event notices, information updates and invitations to support campaigns. an independent, voluntary organisation that exists to improve Bristol’s built environment and celebrate its heritage. increasing the awareness of dementia amongst the communities of Bristol. an organisation of disabled people who live, work or study in the Bristol area. aims to ensure that every older person in the city is an equal, valued, participating member of the community. one of the largest walking groups in the country. the Bristol branch of the national organisation campaigning on behalf of pedestrians. For more on Living Streets, including Living Streets’ work with schools in Bristol – see here. The Trust has a long term commitment to sustainable and active travel, detailed in its Sustainable Development Management Plan, and award-winning Travel Plan. supports anyone who wants children to be able to play freely outside their own front door. is the national charity for road crash victims. for everyone affected by sight loss. a national charity based in Bristol, enabling people to choose healthier, cleaner and cheaper journeys. 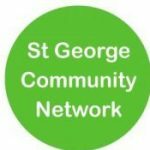 is the Supporting Healthy Inclusive Neighbourhood Environments Health Integration Team which aims to turn Bristol into a healthier city, with built environments that help people to be more healthy. 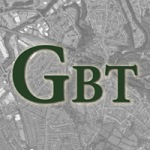 TfGB is an alliance of campaign groups and individuals working together to improve the public transport in the Greater Bristol sub region. Supporting community action in Easton and Lawrence Hill.